Digital camcorders transform moving images into digital data. These video data, called bits, are saved to a storage media like a flash memory card, DVD, or hard disk drive. The amount of data recorded at any given second is called a bit rate or bitrate, and for camcorders, it’s measured in megabits (one million bits) per second (Mbps). Controlling the bit rate not only determines the quality of the video you’re recording but also how long you’ll be able to record before running out of memory. However, there is a trade-off: high-quality/high-bitrate video means a shorter recording time. You can choose which is more important—recording time or video quality—by controlling the camcorder’s bit rate. This is done through the camcorder’s recording modes. These modes are typically called high quality, standard, and long record. The high-quality mode has the highest bit rate, capturing the maximum amount of data. The long-record modes will have lower bit rates, limiting the amount of data to stretch recording times. When Do Bit Rates Matter? As a general rule, you don’t need to be aware of your bitrate while using a camcorder. Just find the recording mode that suits your needs and you’re all set. 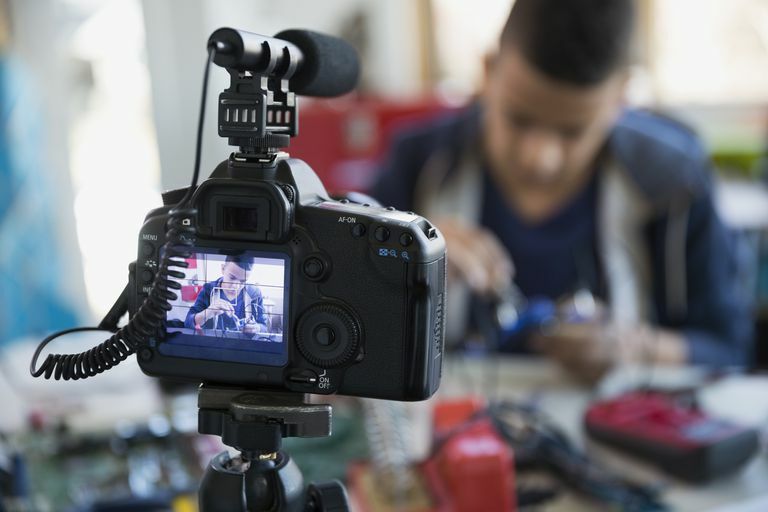 When buying a camcorder, however, understanding bit rates can come in handy, particularly when evaluating high-definition camcorders. Many HD camcorders tout themselves as “Full HD” and offer 1920x1080 resolution recording. However, not all full HD camcorders record at the same maximum bitrate. Consider Camcorder A and Camcorder B. Camcorder A records 1920x1080 video at 15 Mbps. Camcorder B records 1920x1080 video at 24 Mbps. Both have the same video resolution, but Camcorder B has a higher bit rate. All things equal, Camcorder B will produce a higher quality video. The bit rate also matters if you own a flash memory card–based camcorder. Memory cards have their own data transfer rate, measured in megabytes per second or MBps (1 megabyte = 8 megabits). Some memory cards are too slow for high-bit-rate camcorders, and others are too fast. They’ll still record, but you’ll pay extra for speed you don’t need. Will You See a Difference? Yes, you will see a difference, especially at the far ends of the spectrum, between the highest bit rate and the lowest. At the lowest quality setting, you’re more likely to notice digital artifacts, or distortions, in the video. As you step from one rate to the next, the changes are more subtle. What Rate Should You Record In? Stick to the highest bit rate and quality setting you can, provided you have enough memory. You can always take a high-quality video file (that is, a large data file) and shrink it down with editing software. However, taking a low-quality file and boosting its quality by adding more data is impossible.